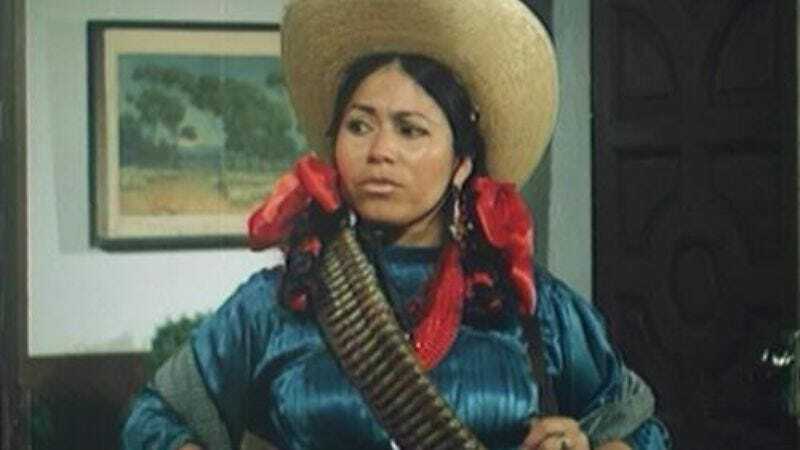 Mexican actress, singer, and comedienne María Elena Velasco has died at the age of 74. According to The Hollywood Reporter, local news outlets previously reported that Velasco had been battling stomach cancer; however, state-run film institute Imcine did not specify the cause in its statement about her death. Velasco was perhaps best known for creating and portraying the character of La India Maria. Velasco, who before La India Maria was usually cast as a maid or a servant, got her big break when director Fernando Cortés recommended her to portray an indigenous woman named Maria in a comedy sketch. Over the course of 30 years, the character appeared in 16 films and a spinoff television series, Ay María, qué puntería. La India Maria was usually garbed in colorful, traditional blouses and skirts—costumes that Velasco’s mother helped make— and braided hair, and countered racial and class discrimination with her good nature, strong morals, and slapstick sense of humor. In addition to creating the iconic character, Velasco was also a screenwriter, producer, and one of Mexico’s few major female directors. Velasco received an Ariel Award in 2004 for Best Adapted Screenplay for the film Huapango, in which she played a dance instructor.